As each side argues over how to best manage the largest educational endowment in the country, their disagreement could affect funding for Texas schools. 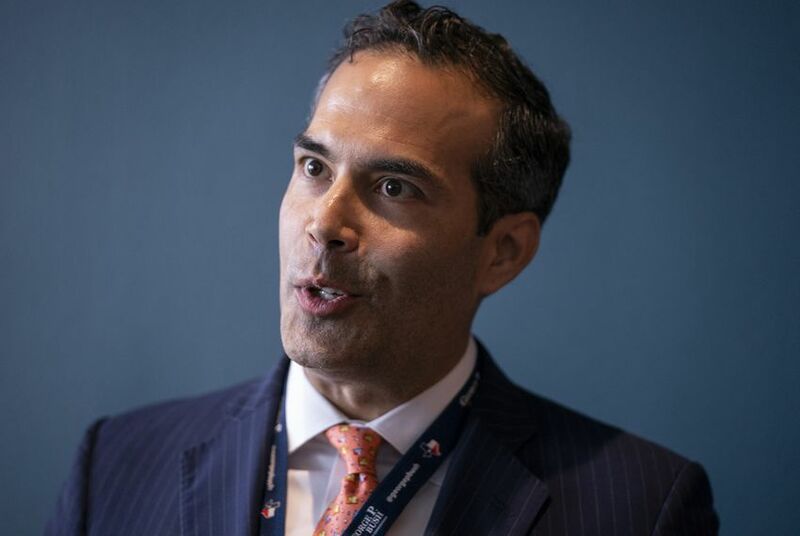 A fight is brewing between Texas Land Commissioner George P. Bush and Republicans on the State Board of Education over investment funds they manage to generate school funding. For the first time ever, the School Land Board — a three-person body headed by Bush, a Republican — declined to pass any money from its fund to the education board, instead opting to feed $600 million to schools directly. In response, education board members say they will have to reduce their own contributions toward school funding. And they’re also calling for this complex investment system to be reformed in the next legislative session. As each side argues over how to best manage the largest educational endowment in the country, their disagreement could affect funding for Texas schools, particularly when it comes to purchasing textbooks. The crux of their fight rests on whose investment portfolio is the most profitable. Since 2001, the land office and the education board have each managed separate portfolios as part of the $40 billion Permanent School Fund, a massive endowment of land and investments set up to support public schools in the state. That money makes up one piece of a broader school finance system in Texas, which also uses funds from local property taxes, state taxes and federal programs to support public schools. The land office, which manages the real estate and mineral leases on the fund’s land, passed along millions each year from its fund to the education board’s own fund for securities investments. In the past eight funding cycles, it had twice contributed $300 million directly into school funding, in addition to giving the SBOE anywhere from $200 million to $500 million. But for the first time, the School Land Board voted not to pass along any money at all to the education board. Instead, all three of the board’s members voted to put $600 million directly into school funding — the maximum allowed under state law. “Our dollars are needed more than ever, and this was the most direct way to get the money to the schoolchildren of Texas,” Karina Erickson, a spokesperson for Bush, said. Bush has insisted that the land office's investment fund is more profitable, and thus where it makes the most financial sense to keep school money. But state board members have disputed his claims, instead accusing the land commissioner of getting involved in school funding to boost his political profile. They said it is “unprecedented” to bypass their own fund — which they say will generate more money for schools overall — and said he is misrepresenting figures about the land office's portfolio. “We’re the goose that lays the golden eggs and now the [General Land Office] is not wanting to feed the goose,” board member David Bradley, R-Beaumont, said. Without the money it had expected to receive, the board may have to reduce how much it gives schools, said State Board of Education Chair Donna Bahorich, R-Houston. In the previous funding cycle, the education board received $490 million from the School Land Board and then passed along to schools 3.25 percent of its endowment — about $2.5 billion. For the next cycle, Bahorich said that the board may have to release no more than 2.75 percent of its endowment — just over $2 billion — in order to ensure the endowment stays healthy. As the state education board has requested more funds from Bush, the land commissioner refused. Instead, he’s criticized the board for relying on his office, suggesting that the SBOE could simply provide more funding itself. The SBOE can put as much as 6 percent into school funding, but board members refuse to spend so much money at once in order to keep fund sustainable. A presentation by the SBOE also noted that the School Land Board’s overall contribution will go down by 24 percent from last year. In terms of overall numbers, the School Land Board’s direct contribution — $600 million — might make up for some of the $540 million less education board members say they will currently be able to provide. But under the current standstill, board members also have concerns about how that contribution will be used. The money funneled by both boards goes into a pool called the Available School Fund, which is then divvied up among school districts according to state funding formulas that take into account student populations. Keven Ellis, R-Lufkin, said that based on those formulas, the money sent directly to the Available School Fund could provide less of a benefit for property-poor districts. Half of the funds fed in by the education board are specifically allocated for a fund that goes to technology and textbooks. The same is not true for money fed in by the land board. The SLB’s direct contribution means less money will go towards textbooks. As districts prepare to purchase new versions of English and Spanish textbooks, Bradley said they will have $300 million less to spend on an especially costly round of new reading materials. “If they had sent us the money and we ran it through our checkbook first, it would have been eligible for textbook funding,” he said. When asked about a loss in textbook funding, a spokesperson for Bush referred again to his letter to the SBOE. “Under no circumstance will I reconsider my decision to release $600 million directly to the ASF. I stand firmly by my vote,” he wrote in the letter. But if the SBOE considers giving schools money, Bush said, he will do the same. Disclosure: The General Land Office has been a financial supporter of The Texas Tribune, a nonprofit, nonpartisan news organization that is funded in part by donations from members, foundations and corporate sponsors. Financial supporters play no role in the Tribune's journalism. Find a complete list of them here.